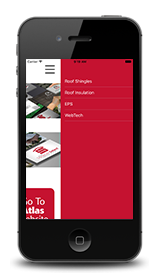 Atlas Docs™, based on WikiSTIK™ Mobile technology, gives building professionals fast access to Atlas product marketing and technical materials, manuals, images, brochures, video and web resources. 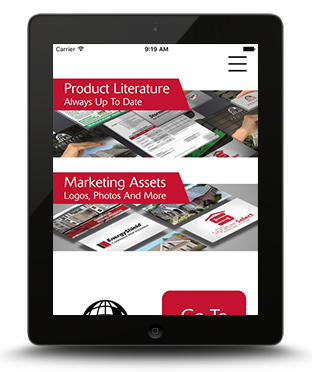 If you're an architect, specifier, contractor, dealer, distributor or anyone who needs quick access to Atlas Roofing's commercial or residential building product information, Atlas Docs™ will help you stay up-to-date. Comprehensive in scope, you'll find detailed product information for all of Atlas Roofing's product lines: Roof Shingles, Roof Underlayments, Polyiso Roof Insulation, Polyiso Tapered Roof Insulation, Polyiso Wall CI Board and other specialty products. Live-search documents across product categories. Cloud based content ensures files are always up to date. Pull-to-refresh feature to check for new documents, document categories or product categories in real-time. Marketing Assets - View and share Atlas logos and high-res imagery for use in marketing materials. Shingle Visualizer - View Atlas shingle products, colors and styles on sample houses. LTTR Calculator - Configure multi-layer polyiso roof insulation systems and see resulting R-value and ASHRAE standard met by climate zone. Atlas Docs™ requires iOS 6 and a data or wi-fi connection.